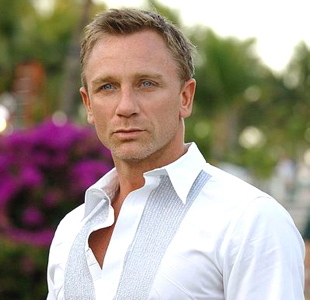 IThriveToWrite: My Best James Bond "Daniel Craig"
One among my favorite action stars is Daniel Craig. I fell in love with James Bond this time Daniel plays the role! And I heard he's here in the Philippines right now. I think he's right now (as in at this very moment) having some fun with his wife Rachel Weisz along with the other crew of the movie "The Bourne Legacy" which is now having a shoot in the Philippines. I am sure you've heard about this by now :) I should keep an eye out for this movie! In my dreams I can meet him personally! ahaa,, i adore him too, dear !!! whoaa..so happy to know, that you like him too..
visit & follow my blog if you like it..
hope we can be friend ! Hi rhea. I tagged you!